Category is Mobility. Perspective is city’s transportation department on behalf of mayor’s office. City truck traffic accounts for tremendous air and noise pollution. EPA estimates that truck traffic accounts for 20% of GHG in the transportation sector, though they comprise only 5% of vehicles on the road. Truck pollution disrupts ecosystems, contributes to municipal CO2 footprints, and reduces quality of life. Phillips, A. 2015. 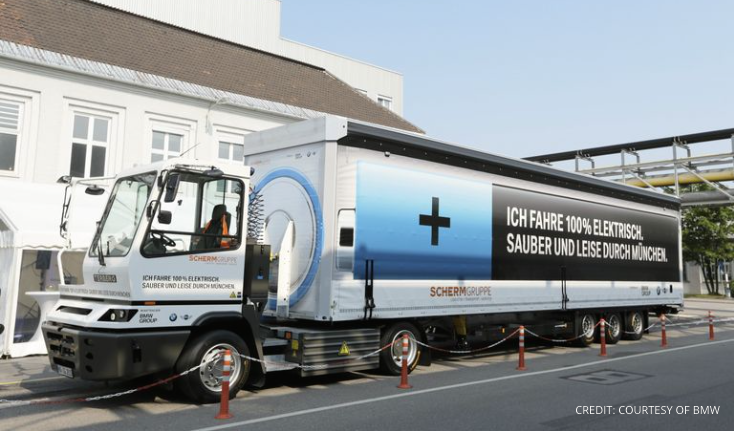 “This 100 Percent Electric Eighteen-Wheeler Just Hit The Road In Germany.” ThinkProgress. Posted July 9, 2015. Solaroad utilizes Amsterdam solar energy bike paths.